Conscious business refers to a set of responsible business practices that some organisations have implemented in the wake of the financial crisis and in response to the increasing concern over the social and environmental sustainability of capitalism. Conscious business, however, is a broader concept than social or environmental responsibility, encompassing the whole idea of awareness of the impact of business decisions on the world, including both internal stakeholders (such as staff) and external ones (such as suppliers, customers, and the public). Middlesex University, Peopleistic and the Global Centre for Work Applied Learning (GCWAL) have partnered to carry out research upon the application of ‘conscious business’ by examination of organizational case studies in the United Kingdom. The outcome of this research will be to enhance understanding of what “conscious business” looks like in practice and how it makes a competitive difference to organizations. Building upon this understanding it is intended to develop a postgraduate programme of study that utilises the framework of work-based learning to enable managers and leaders within organisations to become more ‘conscious within their organisation in how they approach their work,. In this way this project aims to bridge the gap between the scholarly debate and the actual business practices. 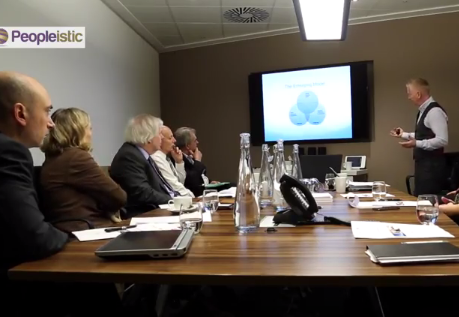 Eventually, it is hoped that this project, both in its research and pedagogical components, will assist organisations, including start ups, to move towards becoming not only more profitable, but also world-leaders in the area of consciousness in business as well as providing government with supportive evidence to assist UK businesses in improving sustainability.